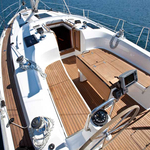 In 2011 has been produced yacht Bavaria 40 Cruiser named Alkinoos. 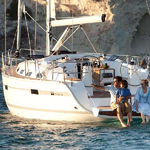 This boat is placed in harbor Preveza in the surrounding area of Ionian Sea in Greece. 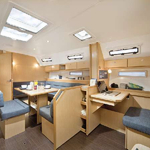 You can take in up to 6 pax on the sailboat Alkinoos. 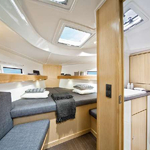 Layout of berths is 6. 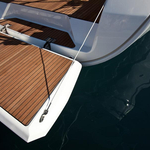 There are 3 bedrooms located below she's deck. Alkinoos has 1 WC with showers. 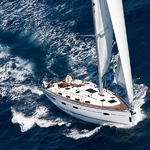 Use this site to find our offer in this site: Yacht charter Ionian Sea. 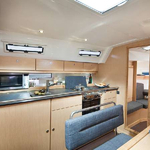 Diesel tank is 210.00 l liters capacious , water tank has up to 210.00 l liters. In this boat is installed motor 28 hp. 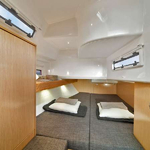 With 12.35 meters of LOA and 3.96 m of width Alkinoos offers enough space for comfortable sailing. 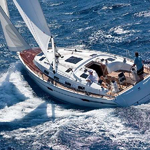 Bavaria 40 Cruiser Alkinoos is equipped with: Autopilot, Gps, Gps plotter, Anchor electric windlass, Bimini top, Dinghy, Furling mainsail, Radio / cd player, Bed linen, Towels, Bow thruster. . Nonrefundable deposit is at the level of 2000.00 EUR. 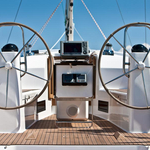 Look for different boats by going here: Yacht charter Preveza.